Global ratings agency Fitch on Monday warned the second largest private bank of a 'potential risk of financial penalties' if the probe agencies come up with findings against Chanda Kochhar. Pressure is mounting on ICICI Bank CEO Chanda Kochhar from all quarters -investors, regulators and financial institutions. First, global ratings agency Fitch on Monday warned the second largest private bank of a 'potential risk of financial penalties' if the probe agencies come up with findings against Chanda Kochhar. Now, a report suggests that some of the ICICI Bank Board members - especially independent directors - may not support continuation of Chanda Kochhar as CEO. ICICI Bank has six independent directors in the 12-member board. In other words, the board is now divided. If true, this will be a significant development as the board had earlier ruled out all the allegations against Kochhar and expressed full faith and confidence in her leadership. The ICICI chief has been in the eye of storm for a couple of weeks. On Monday, Fitch in a statement said: "...the presence of the bank's CEO on this credit committee - and the bank's reluctance to support an independent probe - have, in our opinion, created doubts over the strength of its corporate governance practices." Chanda Kochhar was part of the credit committee which cleared controversial loan to Videocon Group. Business Standard today reported that the LIC and government nominee director Lok Ranjan on the bank's board have sought a meeting with the ICICI's top management to discuss recent developments such as investors' fear and governance standard. The report said that the LIC and the government want an explanation, including the minutes of bank's board meeting held on March 28 that supported ICICI Bank Chief CEO and MD Chanda Kochhar. The LIC holds about a 9.4 per cent stake in ICICI Bank. Indian Express today reported that ICICI Bank chairman M K Sharma recently held one-on-one calls with some major investors in the bank. According to the report, Sharma told the investors that the organisation was bigger than an individual and that the board was looking into investors' concerns. Ever since the CBI and Income Tax Dept launched preliminary inquiry into the allegations of quid-pro-quo against Chanda Kochhar over Videocon loan, the ICICI Bank stock has plunged almost 7.5 per cent. The decline happened even as the bank Nifty registered a surge of 2 per cent. A top official with a leading global financial services firm told The Indian Express that some of the FII investors have questions on Kochhar's performance since the bank has failed -in comparison to some private-run banks- in generating returns for investors. The current controversy began after a whistle-blower Arvind Gupta accused Chanda Kochhar of quid-pro-quo while sanctioning Rs 3,250 crore loan to debt-laden Videocon Group. However, the bank board on several occasions denied any wrongdoing, saying that it was part of over 20-bank consortium which lent the money to Videocon Group. 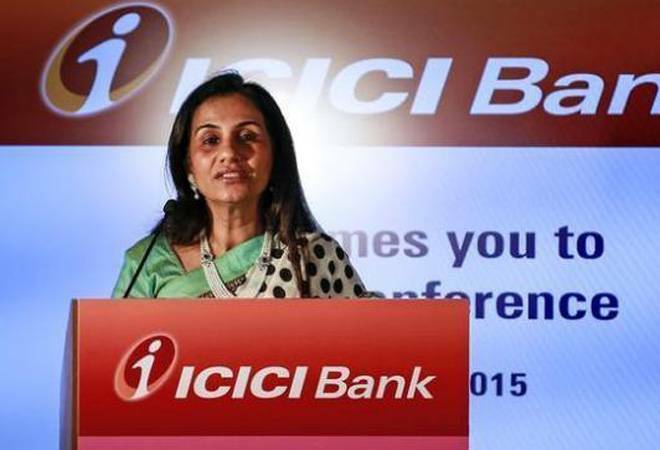 Who will be the ICICI Bank interim CEO if Chanda Kochhar steps aside?